After battling the extreme temperatures all summer, the monsoon season is welcome relief for some Arizona residents. At least the heavy rains and winds bring down the temperatures, even if temporarily. However, those same heavy rains and winds can batter your home and subject it to some real damage. Your roof is especially vulnerable. The rains and winds can peel off shingles, blow away tiles, and leave your home vulnerable to heavy leaks that cause extensive water damage. Not only will you need to invest in re-roofing, but you may also need to perform big repairs to your home. A strong and healthy roof is better able to withstand the deluge of rain and winds that come with the monsoon season than a roof that has peeling shingles, loose tiles, or rotting underlayment. Your best defense here is a good offense, and that means keeping up with regular roof maintenance. You should have your roof inspected at least once a year, and it is a good idea to schedule that visit just before the monsoon season starts. 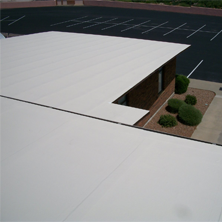 Your Tempe roofer will identify any issues that need to be repaired so that your roof is strong and ready to serve as an impervious barrier to your home. 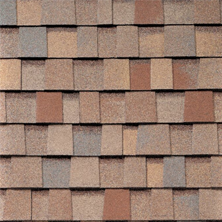 A strong thunderstorm is enough to knock off a few shingles or tiles. 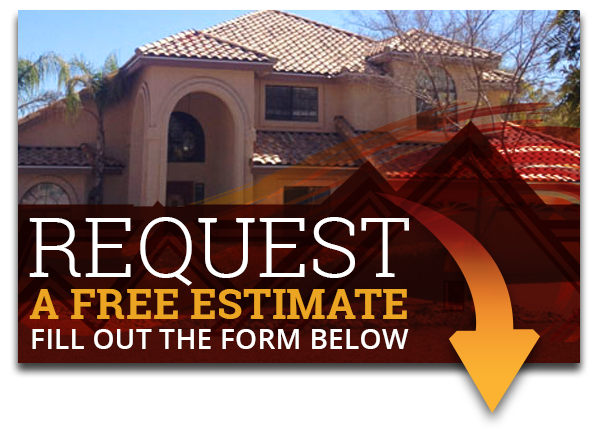 Even if you just had a Tempe AZ roofing contractor out to your house to inspect the roof, you could have a problem after only one storm. It is important that you inspect your roof regularly to make sure that no new issues arise over the course of the monsoon season. Even small problems can create cracks that lead to extensive water damage. Pay close attention to the area around vents, chimneys and other points where items intersect with your roof. 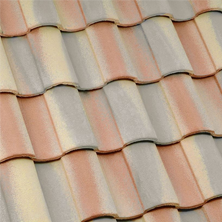 The flashing and roofing materials around these areas often fail before other areas of the roof. Monsoons don’t just batter your home — they also batter the trees and everything else around your home. That tall tree next to your house may provide plenty of shade, but it can also be knocked over by the storm and crush your home. Even a large branch falling off the tree can crash into your roof and cause a significant amount of damage. Before the season begins, hire someone to come out and inspect your trees and prune any dead branches. If you have unhealthy or dead trees, now is the time to have them removed. The expense of having the tree cut down will pale in comparison to the expense of re-roofing. Pay a little now to avoid paying a lot more later. You need clean and healthy gutters to funnel all that rain away from your house during the monsoon season. If your gutters are clogged or aren’t working properly, water can be pushed back up on your roof, causing the materials to degrade and leading to big leaks. The water can also come through the walls, or it can pool around your foundation and cause problems there. At the very least, you need to inspect your gutters before the season begins and clean them out. However, if you discover any problems, you may also need to replace sections of gutter. For example, you want to replace any sections of gutters that are sagging, bent or otherwise misshapen. Everything you can do to prepare your roof for the Arizona monsoon season could save you a lot of money later. Express Roofing in Mesa Arizona can help you get ready by performing the roof maintenance you need before the season begins. However, if you do experience major damage during the monsoon season, an experienced roofing contractor from our team can also advise you about your Tempe re-roofing options. In some cases, a new Tempe roof installation may even be the best way to prepare your home for the storm season. If you have an older, weaker roof, re-roofing can provide stronger and more durable materials that provide your home better protection. Call us today to find out more about your options for re-roofing.